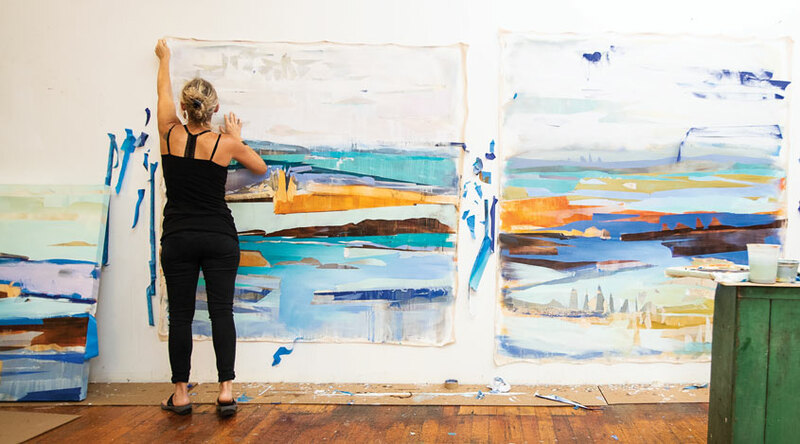 In-demand artist Alicia Armstrong’s career is a shining example of someone who decided one day to take the proverbial leap. “A lot of artists kvetch about selling and marketing and ‘selling out,’ so to speak, but they also complain that they’re not selling work,” observes Alicia. “There’s also this notion or idea people have of a starving artist—that if you are an art maker, you are suffering or it’s going to be hard. I love making art that I think is beautiful, but also contemplative. It feels good to share it with the world and have it in people’s homes.